It’s going to be a fight for their playoff lives. 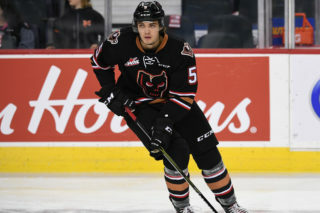 Tuesday night at the Scotiabank Saddledome saw the Hitmen drop a 2-1 overtime decision to the Edmonton Oil Kings and now trail the second round best-of-seven series 3-0. It’s going to be a climb, but there is still belief. “We played well and did a lot of good things but we didn’t bury our chances,” head coach Steve Hamilton said. “If we scored on those Grade A chances we had it would’ve been a different outcome but you can’t change what’s in the past. The Oil Kings would jump out to a 1-0 lead in the second frame as a turnover in the corner resulted in Zach Russell converting on a one-timer in the slot for his first of the post-season. 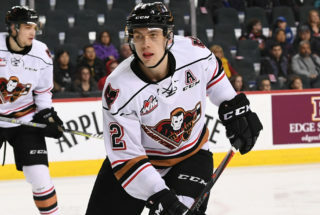 It was a tight checking third period with not a lot of room to operate until the Hitmen were finally able to create some opportunities late in the game. With two Oil Kings in the penalty box and just over a minute to play, Mark Kastelic would deflect a Carson Focht point shot past Dylan Myskiw to send the game into overtime. But all it took was 2:46 to find a winner, as Wyatt McLeod scored from the point through a maze of skates to give Edmonton the win. “We didn’t get the bounces we wanted and just came up short,” Kastelic said. “I thought we had a great performance and the guys battled it out and pushed but sometimes things just don’t go your way despite the effort. 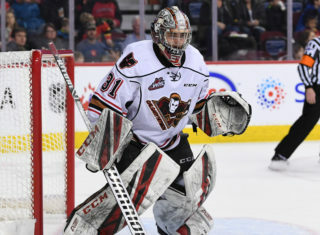 It was quite the goaltending battle as Myskiw made 24 saves for the win, and has only allowed four goals through three games in the series as the Hitmen continue to try and solve the goaltender. On the opposite end, Jack McNaughton was sensational ending with 27 saves giving the Hitmen every chance to pull off the win and has been strong throughout the series. 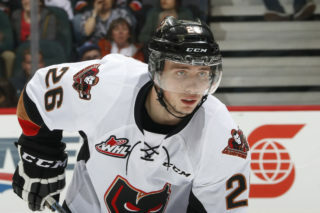 “He’s grown leaps and bounds over the course of the year,” Hamilton said on the play of McNaughton. “He gives us every opportunity to win every night and has done his portion of the heavy lifting. A side storyline was the return of 20-year-old Jake Kryski, who had missed almost three months of action after suffering an upper-body injury on Jan.11. 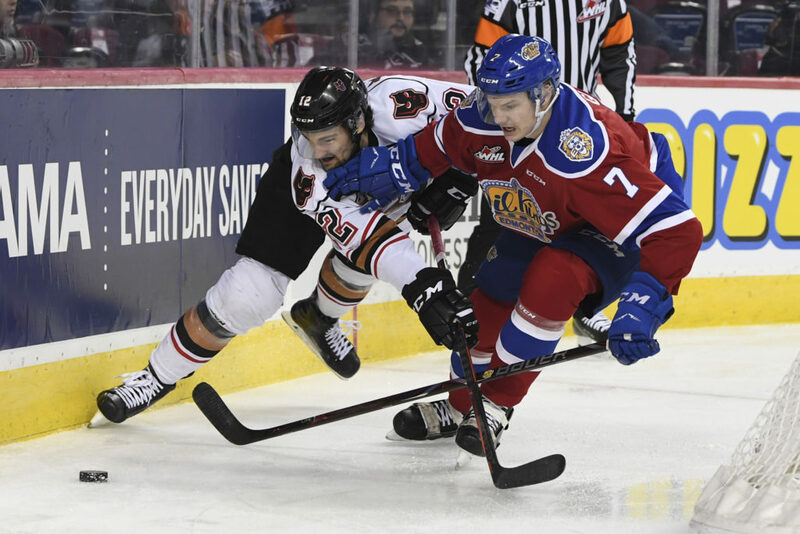 The veteran of five years in the WHL got the rookie treatment with a solo lap for pre-game and without question brought a boost of energy into the lineup. “It was fun to get out there and play with the guys again after an injury I thought I wouldn’t come back from this year,” Kryski said. “It was a little challenging to sit and wait but it’s special to be here especially after never being past the first round of playoffs prior to this year in my career. And now, it all comes down to Game 4. Win or go home. The Hitmen know what they have to do to extend their season and everything will be left on the line Wednesday night back at the ‘Dome. 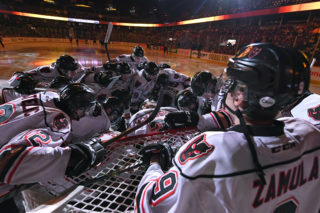 “We have to believe in ourselves and in each other,” Kastelic said. “Our backs are up against the wall but we are going to give everything we got and not leave anything for granted.